Last night I was able to go to a “Onboarding” event for a new FSO arrival in Pretoria. Great event, lots of interesting people and discussions. I was asked, after being here in South Africa for two weeks, what was my big take away? After thinking for a moment, the first thought was security. Now coming from a DOD background, that is one of the things that you would expect, but the content that I am speaking is very different. Mao Tse-Tung argued that the richest means of gaining power (for an insurgency) is to separate that populace from the government¹. 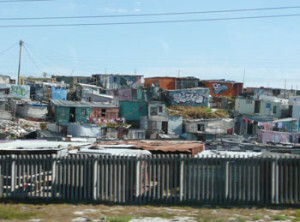 In South Africa, you have the Townships or Shanty Towns in which there are really no internal walls. They are somewhat self-governed areas. But when you leave the urban townships and move into the city proper (Pretoria, Jo’burg, Cape Town) you will find grand houses. Well I think they are, but the high walls around them may make me question what is exactly on the other side. The walls are solid concrete 8-10 feet tall, either with concertina wire or an electric fence crawling across the top. 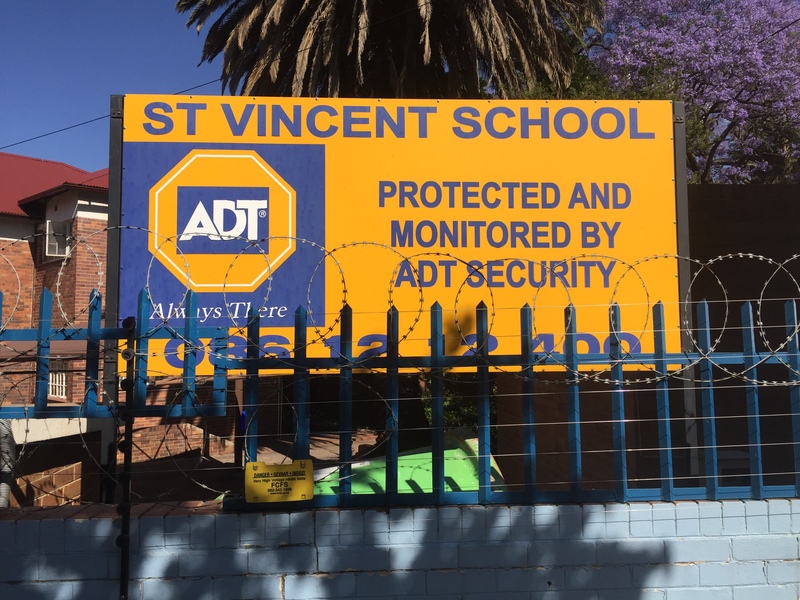 Each seeming to be its own fortified little plot of land with a sign posted, protected by ADT Armed Respon se as if RoboCop is going to turn the corner with guns a blazing. The first thoughts that come to my mind is, wow this must be a dangerous, high crime rate area. Are these walls to prevent crime or are they ornamental? Necessary or cultural? 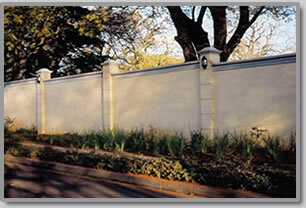 I think of large Hollywood mansions in the states and wonder, are these gated off for protection or privacy? South Africa is still healing from Apartheid. There is still a huge gap between the haves and the have nots. I am not sure if the walls are helping. I asked a local about the walls and what I found interesting from my single data point, he would suggest, even the ones that move from a shanty town (think squatter) to a more permanent plot of land, the first thing they do is build a wall. From my two week study, each of these walls continue to separate the populace from the government, at least gives the impression of a lack of security from the government, and leaches away power from the government. 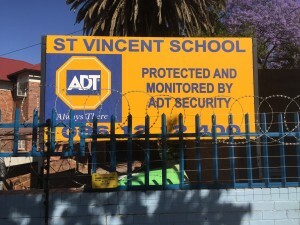 Oddly, I am not sure if SA has a security problem or a wall problem, both figuratively and physically. Mao, Z. (1966). Selected military writings of Mao Tse-tung (2nd ed.). Peking, China: Foreign Languages Press.